Wouldn’t it be wonderful to start this new year feeling organized in your home, office and life in general? Sometimes easier said than done. My best friend is a professional organizer (Get Organized with Bridges). She is consistently busy with clients. 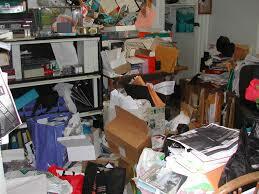 We have become a society of collectors and sometimes even hoarders. Like playing a sport without the right equipment, it is nearly impossible to obtain and maintain an organized life without the proper tools to do so. S Interior Design has gone on client design consults where the very first step before any changes to the design of a space can be made, is purging and organizing by the client. Below is a guest post from ‘across the pond’ supporting the idea of having additional storage space at your disposal. At the start of every new year, I decide it is time to ORGANIZE. The tricky part is finding enough places and spaces to store everything. The guest post below shares some great ideas about unexpected areas in your home to find ‘extra’ storage. Enjoy and get organized in 2014. Whether you are looking to decrease the clutter in your home, or simply find space for your essential items in a small apartment, unique and unexpected storage spots can be hard to spot. Fortunately, when you take a few moments to analyze what you have available to you, you may find some amazing storage ideas are sitting waiting to be used! 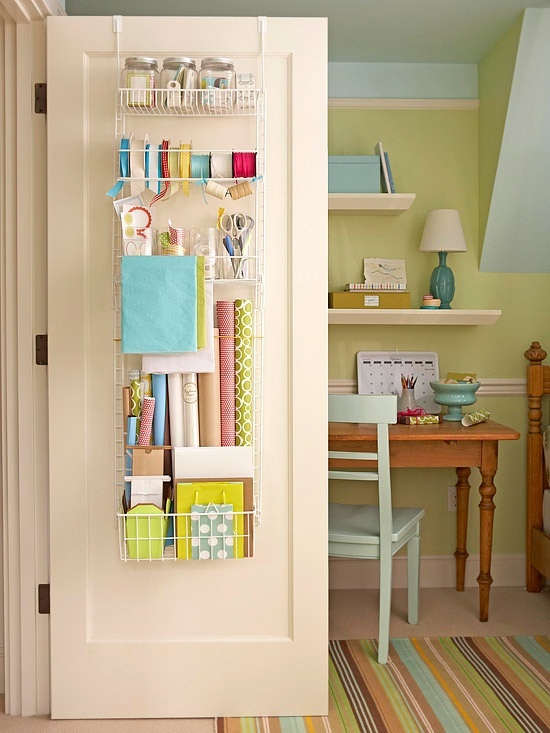 Check out these ten unexpected storage spots below to help inspire your creativity! While you may think of hiding a paper towel roll behind a cabinet door, you have probably never thought of including your entire spice rack, lid holders and more behind them! You have an abundance of cabinet doors in your kitchen, so get some shelves, hooks, and screws ready and start hanging up everything that can be hung behind the shelves! For more tips on how to improve the efficiency of a utility closet by adding shallow compartments to the back of the door click here. Many people have taken to storing their present wrapping items on the insides of doors as well as cleaning products, shoes, and more. 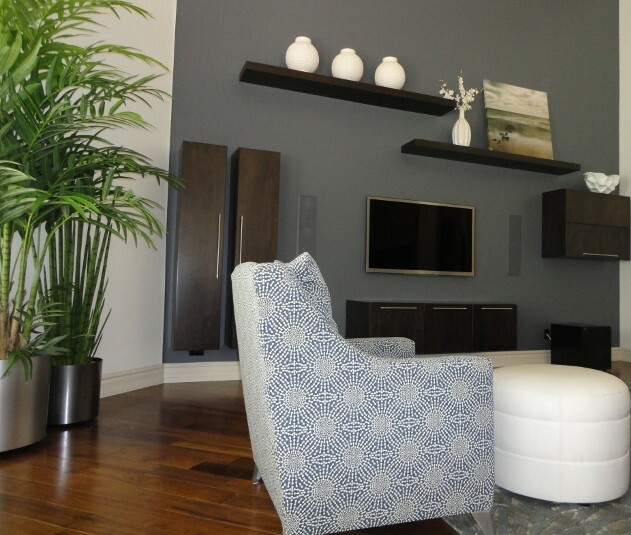 Take advantage of all that hidden vertical hanging space and use it to the max! If you are looking to separate a space with a divider, choose a double sided shelf instead. If you can’t afford one, try linking two shelves together, or stacking wooden crates together facing opposite sides for a unique way to create shelving space! 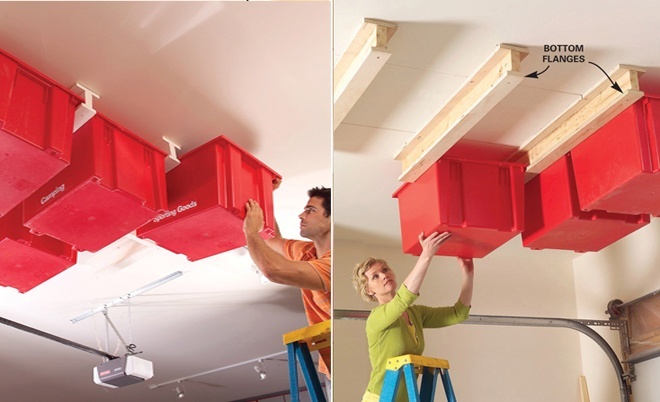 Garage ceilings are perfect for totes, bike racks, and all of those seasonal items that have to be stored most of the year. Provided you don’t have a top load washer, you can grab a wooden board, lay it on top, and add additional shelves above for some great storage space for all your cleaning and washing products! Have a staircase in your house? Check with a contractor to see how to fit in some slide out bookshelves into the side of the stairs! The space can be used for coats or seasonal storage as well! If you can’t fit shelves into the side of stairs, why not under each step? 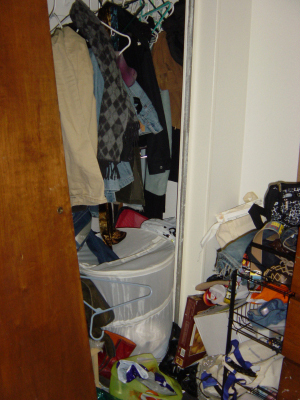 You have a good five or so inches which can be hollowed out and used as a storage space! Place books under each for a crafty book case and a beautiful finish to any stairwell! A kitchen island may have some cabinets on the one side, but why waste all that potential storage on the other? 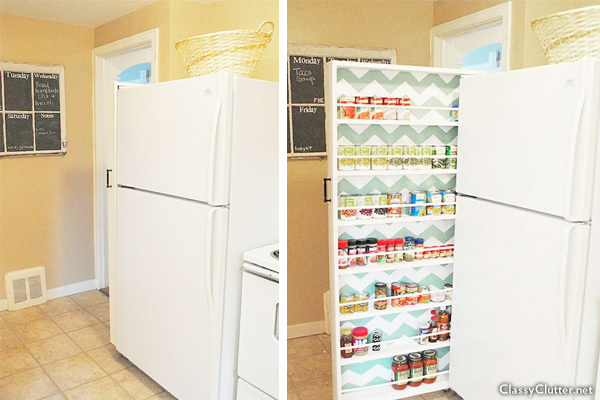 Use some creativity and add in some shelves for all of your cookbooks and more! There are always those annoying two or three inch gaps between your fridge and the wall. Unfortunately for people who deal with smaller kitchens, that space may be the bane of their existence. Now, however, you can utilize some thin dresser shelves, turn them vertically, and create a mini slide out pantry right next to your fridge! Renting a storage unit is always an option for those dealing with tight spaces. Yes it’s not an “unexpected” storage space inside a home, but many overestimate how much a storage unit costs. At just a small monthly fee, a massive space can be rented out allowing for the safe and secure storage of valuables, seasonal items, and even excess furniture! My favorite storage option for pillows, linens, books, magazines, dog toys and more. A plethora of sizes, shapes, tone and textures are available. 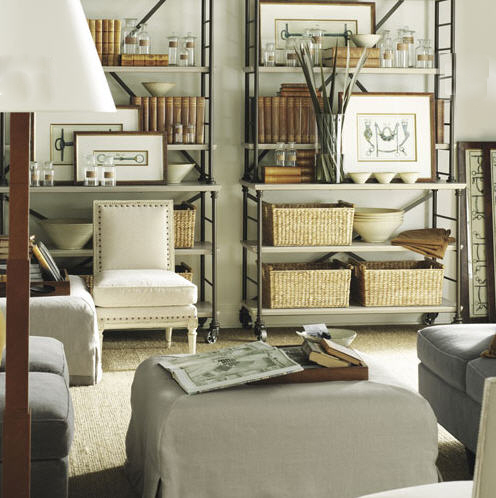 Officially get organized month is over tomorrow, but are good ideas for storage ever ‘OVER”? You can use baskets in your entry area to collect shoes, mail and kids backpacks. In your bedroom to place your decorative bedding pillows in until the next day, in family rooms to store magazines and hold comfy throws. Baskets work great on shelves to store smaller items such as music CDs or DVDs. 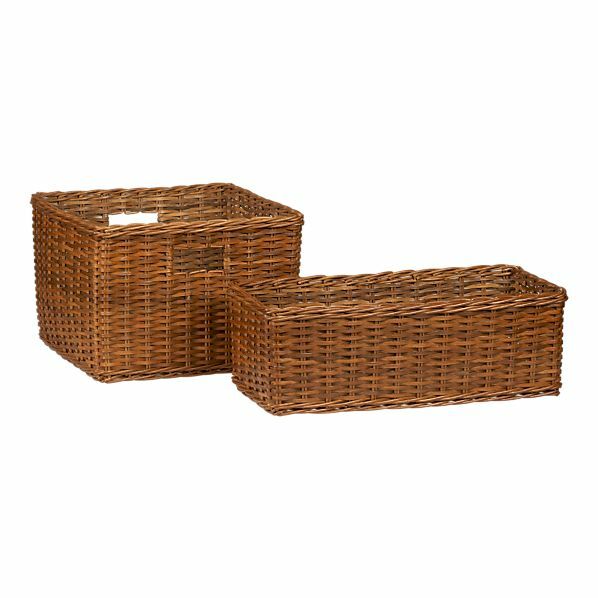 You can find baskets of all configurations at retailers such as Target, Marshalls Home Goods, and Michael’s Arts and Crafts . Baskets are great tools to organize small office items. Add a few that are colorful to give a pop of interest to a neutral decor scheme. Check out these great ones from Cost Plus World Market. The addition of baskets on the bottom shelves of this ‘open’ bookshelf design give the shelving more visual weight and interest doesn’t it?? 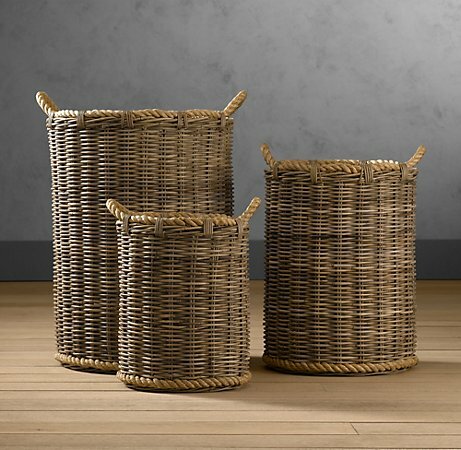 So, where can you add great looking, and highly functioning BASKETS in your home and office environment?